TKA AMUSEMENT held an intriguing K.O EPISODE 1 Tournament (STREET FIGHTER IV & TEKKEN 6 BLOODLINE REBELLION). 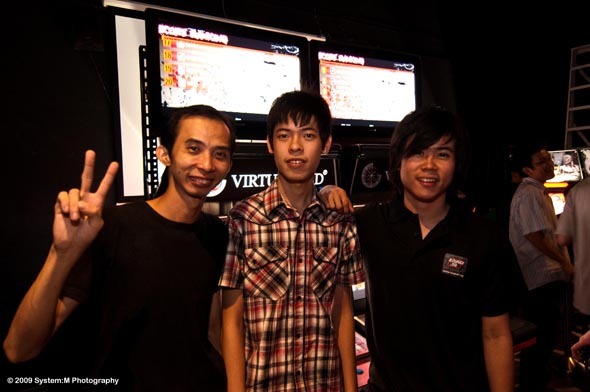 There were 4 SF IV's qualifiers in June 2009, each qualifier was held at different outlet (Qualifier 1- Virtualand Bugis Junction, Qualifier 2 - Virtualand AMK Big Centre, Qualifier 3 - Virtualand Kallang Leisure Park, Qualifier 4 - Virtualand Clementi CityVibe) of TKA AMUSEMENT in Singapore. 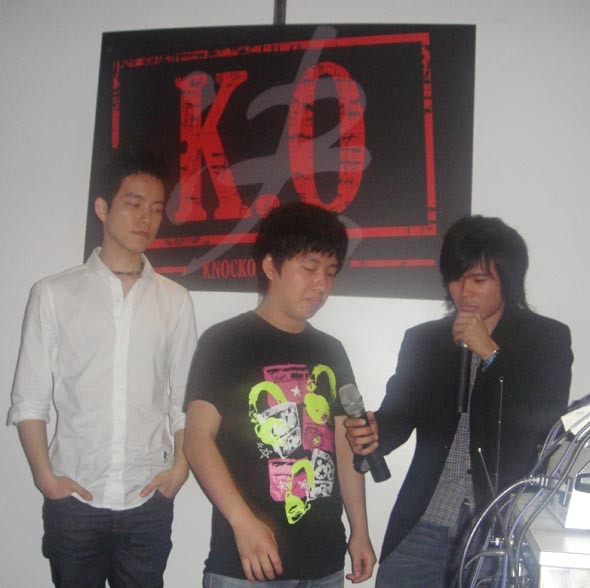 While K.O qualifier 5 is held at KOREA and qualifier 6 in JAPAN. Hence, the respective champion of K.O Qualifier 5 of KOREA (LAUGH) and K.O Qualifier 6 of JAPAN (ITABASHI_ZANGIEF) flew to SINGAPORE to compete in the SF IV FINALS. LEE CHUNGGON aka POONGKO (Korea National SF IV Champion) confirmed his attendance as our special guest! Recently, he represented Korea in the spectacular 4-man WORLD tournament in San Francisco against Daigo Umehara, Iyo and Justin Wong. 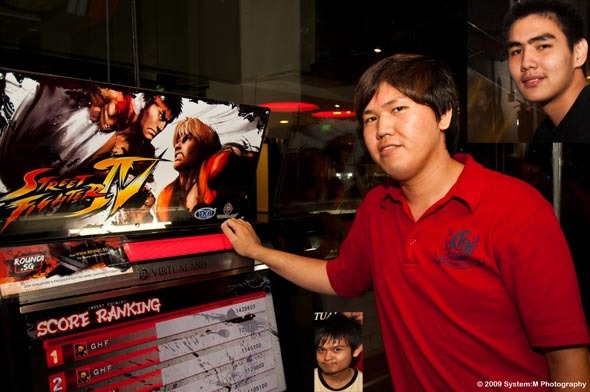 SF IV & TEKKEN 6 BR FINALS are held at SINGAPORE TGX’09, Suntec Convention Hall 404 on the 04-05 of July. Attractive CASH & PRIZES to be won in the FINALS of each category! This event is funded by TGX'09! PANG JIAN HUA (Julia) - Champion! LEE SHIN CHEON aka SHIN (Steve Fox) - 1st Runner Up! ANTHONY RADIANTO (Law) - 2nd Runner Up! HIROMIKI KUMADA aka ITABASHI (Zangief) - Champion! TAN JIA CHUN aka PEI HOON (Sagat) - 1st Runner Up! LEE CHUNGGON aka POONGKO (Ryu) - 2nd Runner Up! LEE CHUNGGON aka POONGKO (Ryu) - Champion! HIROMIKI KUMADA aka ITABASHI (Zangief) - Winner! LEE CHUNGGON aka POONGKO (Ryu) - Winner! HIROMIKI KUMADA aka ITABASHI_ZANGIEF (Zangief) - Champion! AN CHANGWAN aka LAUGH (Ryu) - Champion! PARK JONGKYU aka JK (Sagat) - 1st Runner Up! SHIN SUNHO aka Fender (Ken) - 2nd Runner Up! DIXON PANG (Balrog) - Champion! KUN XIAN (Ryu) - 1st Runner Up! WU XING FENG aka GOLDEN FAN (Ryu) - 2nd Runner Up! JULIUS HOE aka GANGURO (Sagat) - Champion! HUANG JIANHUI aka RAVEN (Balrog) - 1st Runner Up! AMOS EE (Sagat) - 2nd Runner Up! CHAN WEI JIE (Dhalsim) - Champion! ALAN LEE (Akuma) - 1st Runner Up! WILSON CHIA aka TETRA (M.Bison) - 2nd Runner Up! LESLIE CHEONG WEN JIE (Sagat) - Champion! TIEN LANG aka YAGAMI (EL Fuerte) - 1st Runner Up! SIMON SUM YEW FATT (Ryu) - 2nd Runner Up! TGX'09, 3 July (6pm) @ Suntec Convention Hall 404, “SFIV OUTLAST”: Itabashi_Zangief, Laugh, Poongko vs all 59 REPRESENT! Participants. 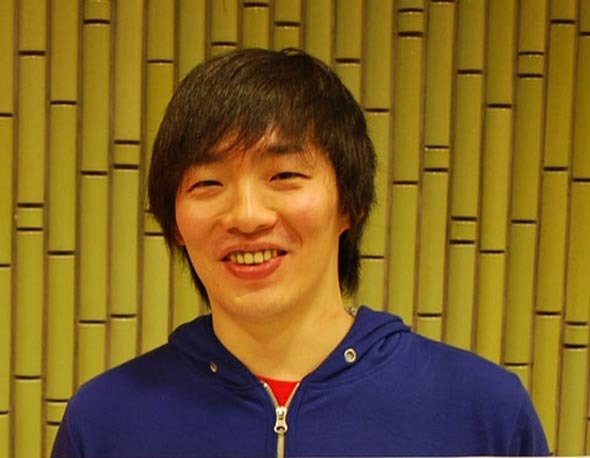 ITABASHI_ZANGIEF & POONGKO each won 13 matches out of 15 matches. They drew and we considered both of them to be the winners! Congratulations as they won a shopping voucher each! 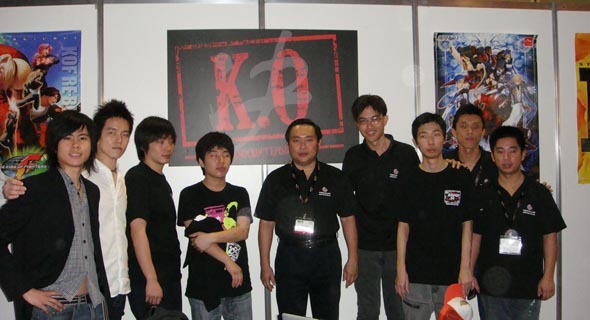 TGX'09, 4 July (1pm) @ Suntec Convention Hall 404, POONGKO won the 3-NATION EXHIBITION, a preview before the actual finals! Congratulations as he won himself another shopping voucher! The SF IV FINALS commenced at about 2pm, and after so many hard fought battles, ITABASHI_ZANGIEF managed to defeat our local No. 1 SF IV player PEI HOON in style by winning 2 series in the GRAND FINALS as ITABASHI_ZANGIEF was from the loser route (Each serie is best 2 out of 3 matches). These two incredible players were almost even in skill. It was simply breathtaking to witness them in action! 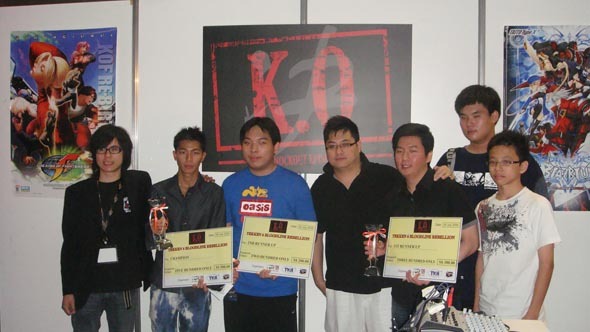 The champion from JAPAN brought home SGD $500 with a trophy, one K.O Episode 1 exclusive T-shirt and one token voucher. 1st & 2nd runner-up each won SGD $300 & SGD $200 respectively along with the same non-monetary prizes. While 4th to 8th placing didnt gone home empty-handed, each received one token voucher as a consolation prize. 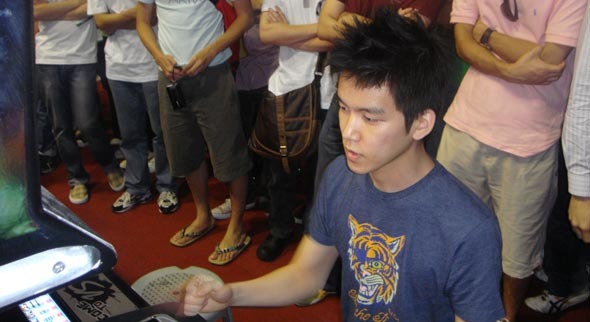 TGX'09, 5 July (1pm) @ Suntec Convention Hall 404, PANG JIAN HUA claimed the top spot in the TEKKEN 6 BLOODLINE REBELLION FINALS as he won against LEE SHIN CHEON who is a reowned veteran Tekken player in Singapore. Although SHIN CHEON took the 1st serie, but it was insufficient as he was from the loser route. He needed to win 2 series inorder to crown champion. Eventually, JIAN HUA calmed himself down and defeated SHIN CHEON in serie 2 with 2 victories matches. The prizes are the same with the SF IV category. CONGRATULATIONS TO HIROMIKI KUMADA (ITABASHI_ZANGIEF) & PANG JIAN HUA FOR BECOMING CHAMPION OF K.O EPISODE 1 STREET FIGHTER IV & CHAMPION OF K.O EPISODE 1 TEKKEN 6 BLOODLINE REBELLION RESPECTIVELY! Lastly, the Organising Committee (TGX'09, Virtualand, Round1) would like to say a BIG thank you to all the participants and spectators for the support of the event! It all happened because of YOU! SEE YA GUYS IN K.O EPISODE 2!